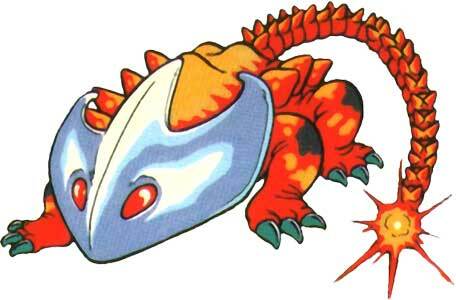 The Helmasaur King is a dungeon boss character from the Legend of Zelda series. It guards the first Crystal Link has to obtain in The Legend of Zelda: A Link To The Past (1991) and only returned in the Palace of the Four Sword dungeon in the GBA remake of Zelda 3. 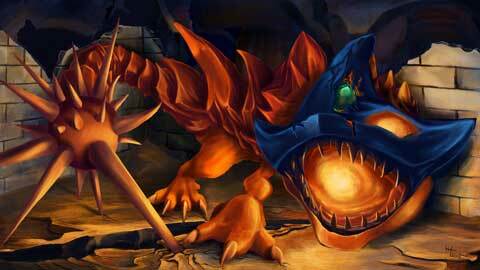 The Helmasaur King has also a Lorulian counterpart named the Gemesaur King in The Legend of Zelda: A Link Between Worlds (2013). 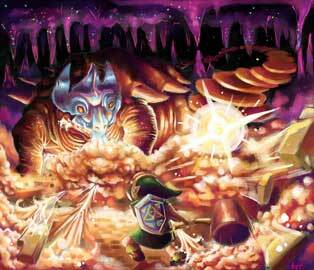 The Helmasaur King wears a big mask on its head that has to be destroyed before Link can defeat the monster. 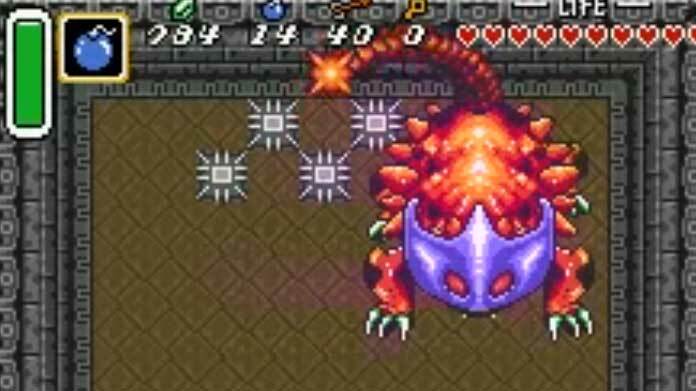 Attacks with the Magic Hammer or well placed Bombs can destroy the big mask, after that Link can use normal attacks or Arrows.